Photoluminescent carbon nanodots (CNDs) were prepared using a biocarbon source of lemon extract. The obtained CNDs are of spherical shape and are enriched with the carboxylic acid fucntionalities. CNDs exhibited a fluorescence emission at 445 nm and unveiled blue luminescence in ultraviolet excitation. The influences of pH and ionic strength toward the stability of CNDs were investigated in detail and the obtained stability authenticates their applicability in different environmental conditions. The competitive binding of Fe3+ with CNDs quenches the fluorescence behavior of CNDs and was further quenched with the selective complex formation of Fe3+ with tannic acid (TA). The interference experiments specified that CNDs-Fe3+ assembly selectively detected TA and the co-existing molecules have not influenced the quenching effect of TA with CNDs-Fe3+. The analytical reliability of constructed sensor was validated from the recovery obtained in the range of 91.66–107.02% in real samples. 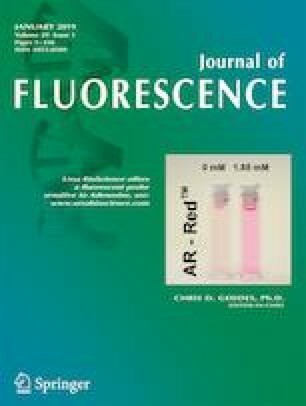 Thus the low cost and environmentally benign CNDs prepared from natural biomass provide new avenues in the fluorescence detection of biologically significant metal ions and biomolecules, facilitating their competency in on-site applications of real environmental samples. S. Stanly John Xavier and T. Raj kumar contributed equally to this work. This work was supported by University Grants Commission (UGC), New Delhi, India Major Project Grant No. MRP-MAJORCHEM- 2013-36681. This work was supported by grants from the Medical Research Center Program (NRF-2017R1A5A2015061) through the National Research Foundation (NRF), which is funded by the Korean government (MSIP). This work was supported by the Korea Institute of Energy Technology Evaluation and Planning (KETEP) and the Ministry of Trade, Industry & Energy (MOTIE) of the Republic of Korea (No. 20184030202210).